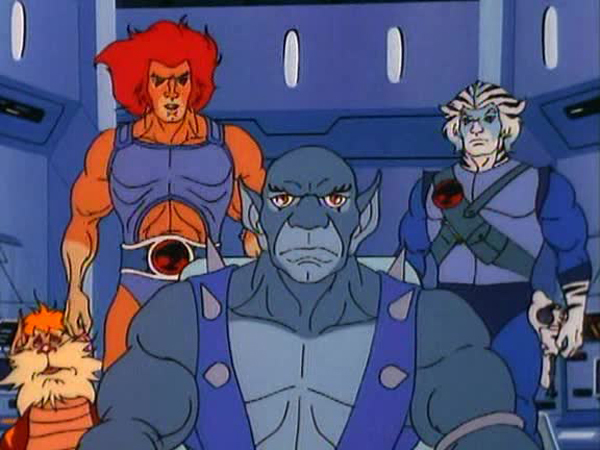 When it first premiered in 1985, ThunderCats was touted as an action-adventure series; and the first season of the show exemplified this, blending elements of sci-fi and fantasy in story after story. But as the series matured and new writers joined the roster, the mix of genres was expanded to incorporate the current events of the day into the storytelling, from anti-drug messaging to conservationism. 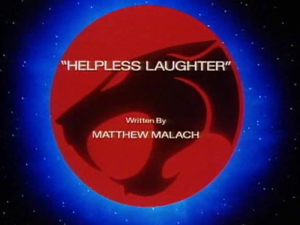 “Helpless Laughter” is one such episode, which touches on the problem of drought and the importance of water to life. The episode begins with an eerie calmness that has enshrouded New Thundera. In their inimitable melodramatic style, the Ancient Spirits of Evil inform Mumm-Ra that the ominous serenity will soon be replaced by a massive drought, courtesy of the harmonic convergence of the five moons of Plun-Darr. They further prophesize that Mumm-Ra will be the only one to survive the drought, greatly delighting the decrepit mummy. The drought, as weird as the reason for its occurrence, results in water all across New Thundera simply dematerializing. 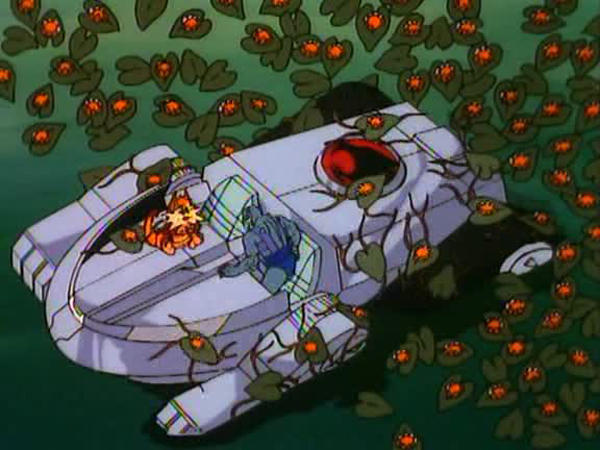 Manning the ThunderTank, Panthro and Snarf depart to search for water, only to be attacked en route by Eezuka, the water serpent. The gigantic dragon-like creature causes the tank to crash into the Swamp of the Laughing Lily Pads, the only un-dried body of water on the planet. 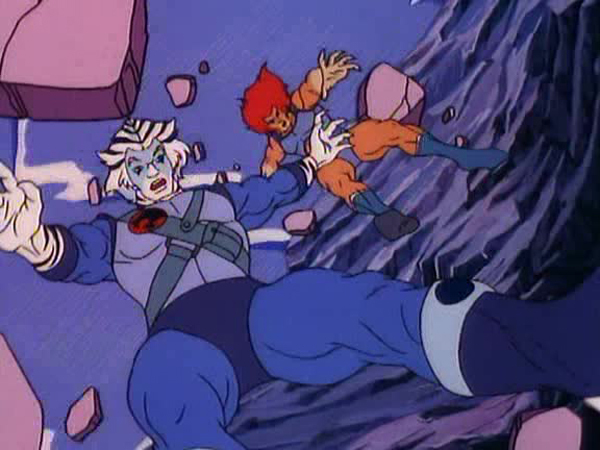 The water of the swamp causes the two ThunderCats to laugh uncontrollably, and even cranks their sense of humor up a notch or two. 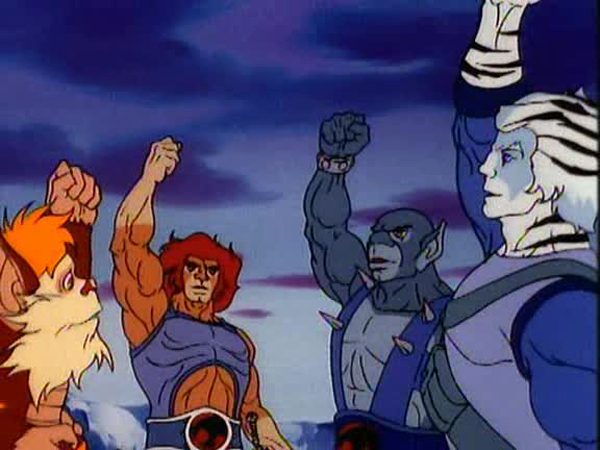 Outside the Lair, Lion-O, after being reminded by Jaga for the umpteenth time, uses the Eye of Thundera to conjure up some rain. If only the writers of the show had their own astral babysitter reminding them not to default to this deus ex machina in their scripts. Nevertheless, the ensuing precipitation placates Eezuka, who flies off merrily without so much as a thank you. One cloudburst isn’t enough, though. 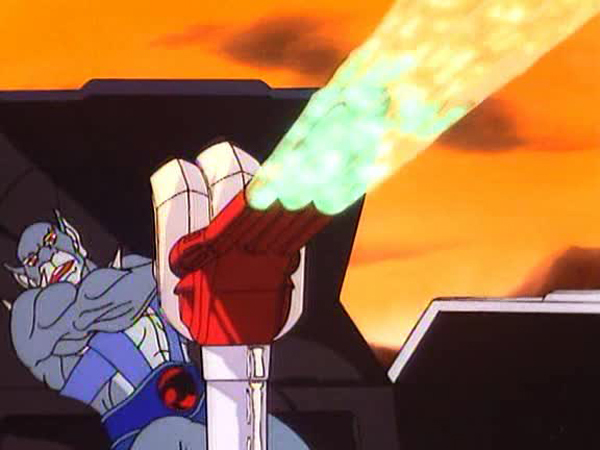 Piloting the ThunderStrike to the Caverns of Cold, Lion-O and Bengali use a laser cannon to melt some glaciers in order to fill the Dreary Canal. Insert head-shaking over the irony of melting glaciers to save the environment here. It is surprising and equally disappointing to see a seasoned writer like Malach pen such an uninspiring script. Employing only a handful of characters to show the devastating effects of a global catastrophe is like looking at the ceiling of the Sistine Chapel through a keyhole. Instead of just a single annoyed Eezuka, whole rampaging populations of thirsty creatures wreaking havoc on New Thundera would have greatly benefitted the plot, as would have the inclusion of more ThunderCats to address the catastrophe—most of them are inexplicably absent. The impact of the plot is further diluted by the addition of humor, adding comedic insult to thematic injury. As hilarious as many of the lines in this episode are, they seem painfully out of place in the overall proceedings. 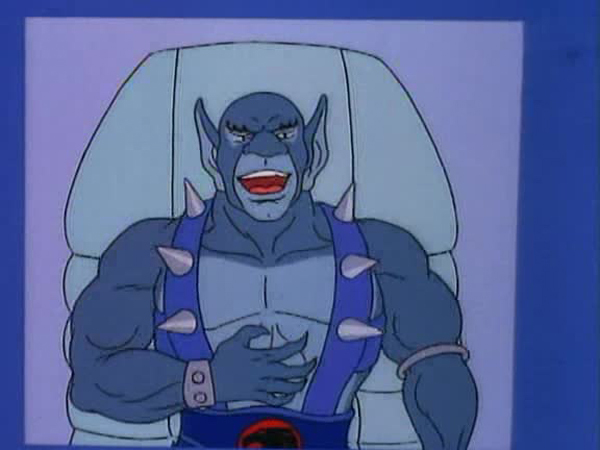 It is rather odd that the episode is named after the subplot involving Panthro and Snarf. Not only is it of little significance to the core story, but it actually detracts from it. The animation isn’t outstanding, nor are the action sequences. 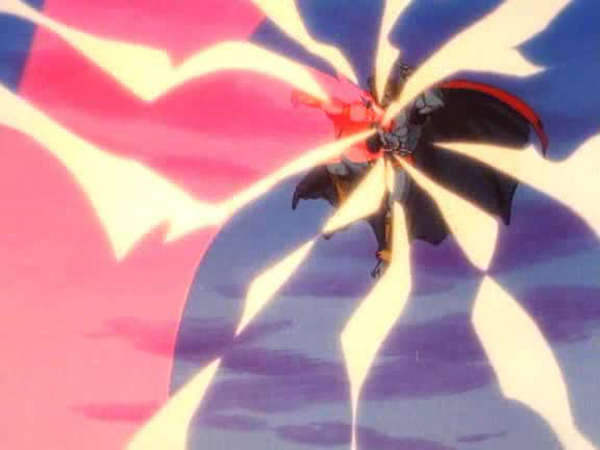 However, Bengali’s hammer integrating with the cat signal to create a second cat’s head and whacking Mumm-Ra out of the sky—that’s pretty cool! 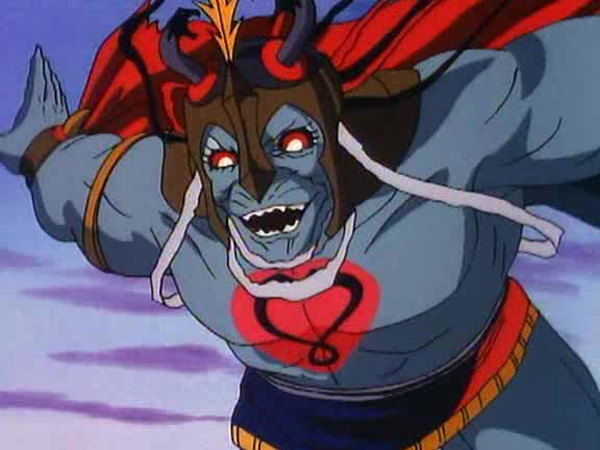 Speaking of Mumm-Ra, the arch villain has sadly been relegated to a rather minor role here, spending most of the episode as a silent observer. “Helpless Laughter” will undoubtedly draw quite a few giggles from the audience. Unfortunately, this is the episode’s only strong point. In the script, Dreary Canal was originally called Roily Canal. 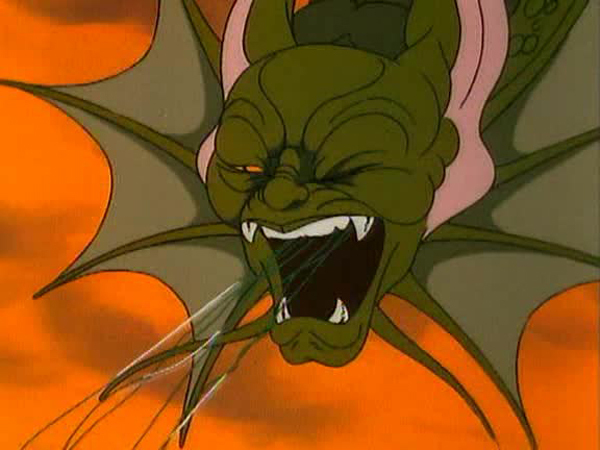 This episode marks the first and last appearance of Eezuka, the water serpent of Dreary Canal. Eezuka is named (lovingly?) after Masaki Iizuka, head of production at Pacific Animation Corporation, who by this point had been working with Rankin/Bass on ThunderCats for nearly five years. 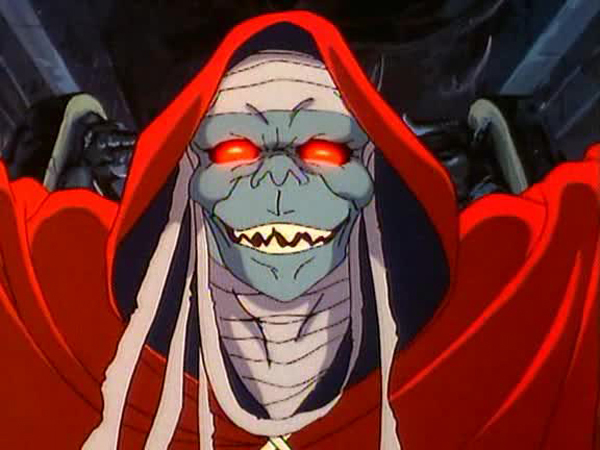 Strangely, Mumm-Ra is shown in his decayed form in one scene and his ever-living form in the next without any transformation sequence. 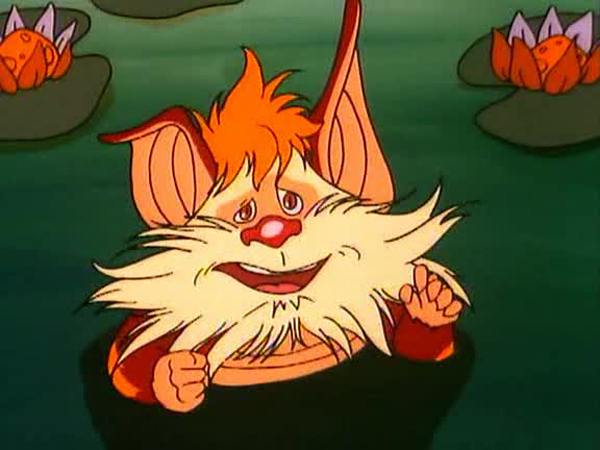 In a scripted scene omitted from production, Snarf serves the ThunderCats freshly cooked breadfruit with spicy thunder-peppers. You can imagine how that plays out with limited water available.